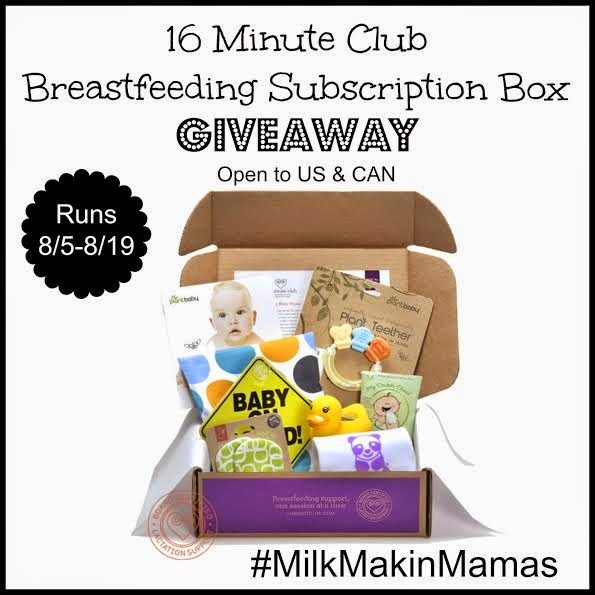 16 Minute Club offers continuous support to breastfeeding mamas through a subscription box service. Each box contains age and developmentally appropriate items for baby and an informational chapter for mom. Be sure to read mama pure's full review of 16 Minute Club. This giveaway is open to the US & CAN and will run from 8/5-8/19.